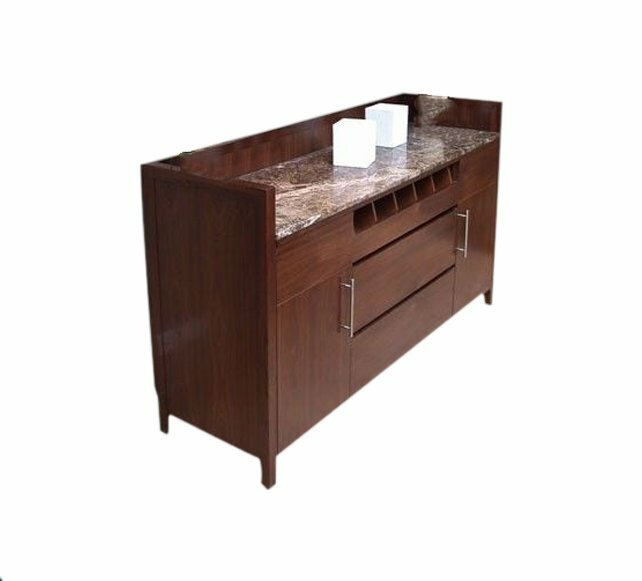 Custom made waiter station with built-in reading light; three pull out cutlery trays; two drawers; double doors & adjustable shelves. Finish: Oak veneer and solid with clear lacquer finish. 20mm thick black granite work top. Brushed stainless steel plinth.